It’s that time of year again! 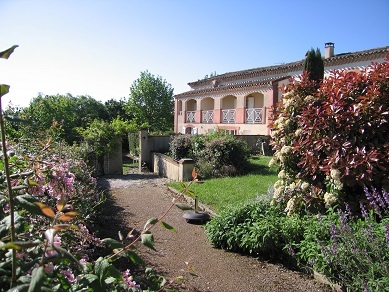 In other words, we’re off to Southern France for the Residential Painting Holiday in a couple of week’s time. Paintings have been prepared, materials have been ordered and Euros have been exchanged. Although I have an idea of the landscape/flower scenes to be painted, I always remain loose and wait until the actual day to see how everyone is feeling before determining the image to be freed onto the canvas.As the week goes by, everyone finds they become more and more laid back and relaxed as the peaceful environment of the French countryside starts to affect us. We generally paint one day on and then have a trip/day off as painting one day after the other can be quite exhausting. This is because the mind switches off during the creative process. We become absorbed with which colour is required next, the shape of our tree or the positioning of our lake and so we live totally in the moment causing us to relax. Whilst away, we will be keeping in touch with you all via Facebook. At the end of each day, photos will be posted. You don’t have to belong to Facebook to see these – simply click onto the blue Facebook icon at the top lefthand corner of this page for your computer to take you directly to that day’s photos.